Firm is showcasing properties including The Smurfs, Hello Kitty, Gormiti and Dinofroz at event. Grani & Partners is showing off its brand portfolio at Bologna Licensing Trade Fair this week. The firm is displaying a number of items on stand A45, hall 31, such as premiums and promotional items, magazines with covermounts, surprise bags and collectable items dedicated to key licences. Grani & Partners is the Preferred Premium Supplier for EMEA countries for The Smurfs, Hello Kitty and Spongebob Squarepants. The firm also handles Gormiti (pictured), Dinofroz, Angry Birds, Peppa Pig, Violetta, Lalaloopsy, Minnie, Disney Princess and Marvel Heroes among others. The new Preziosi Collection of branded digital cards will feature Gormiti (in all Italian kiosks from April) and Milan Football Club. The two collections use touchcode technology that lets users obtain special content dedicated to the cards’ characters via a touchscreen device and a downloadable app. Other sports collections include Moto GP, Ferrari and the Italian A Series Football Championship. 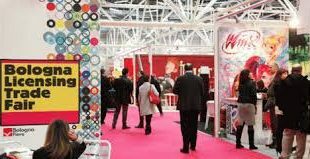 The Bologna Licensing Trade Fair runs until March 27th.